Manor Arms | Pub Quizzers | Find a pub quiz near you, now. 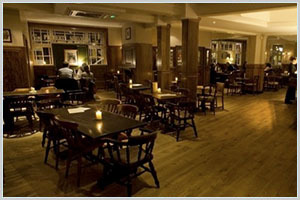 Pub quizzes take place at Manor Arms, Streatham on Thursdays (weekly) at 20:00. Entry is £2.00, you can have up to 10 people on a team. There are prizes of spot prizes, drinks. Happy quizzing! You get the chance to win a £40 food & bar voucher if you come first. Failing that, try your skill at the other end of the scale to win the bottle of wine for coming second-to-last! And guess what? It gets even better as there's a chance to win a couple of spot prizes too. Put simply: A fun Thursday night out in Streatham = A pub quiz at the Manor Arms. There's no limit on team size, but in the interest of fairness, there's a points deduction system in place for teams over 6.